Have you ever visited our store? If not, you're missing out on a wonderfully wild experience! 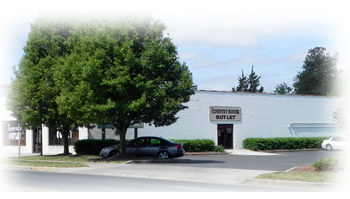 With over 21,000 square feet of retail space, we're more than just a country store. In fact, customers travel from all over the United States to spend the day with us. Many families make a weekend of going to the beach (Ocean City, MD) and visiting our store. Get a group together and come visit us – we have earned our reputation that The Country House is 'Worth The Trip'! We are located only 30 miles from Ocean City, Maryland which offers beautiful beaches, offshore fishing and numerous golf courses. For information on Maryland's beautiful Eastern Shore, please call the Wicomico County Tourism office at 410-548-4914, or visit their web site at http://www.wicomicotourism.org. This is an exciting time of year at The Country House. New items are arriving daily and the explosion of Spring colors gives the store a very festive look. The employees are feeling very festive as well. At this time, we're ready to put away our shoes and boots and break out our favorite footware - FLIP FLOPS! As we move into the Spring months, we start to welcome back our Summer customers, many who have become friends as they stop in on their weekend getaways to the beach. 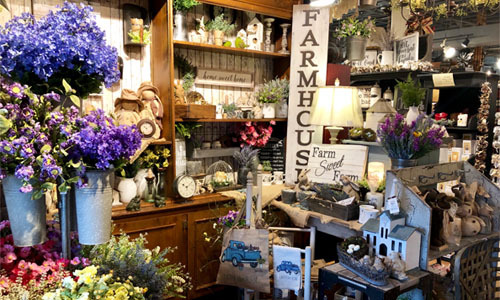 The store still carries those country and primitive items that have become customer favorites throughout the years, with new and updated versions arriving each season. But we have also brought in lots of new vendors whose products have helped to give The Country House a more diversified selection...'Something for Everyone'! Our Simply Southern collection is probably one of most extensive around and - GOOD NEWS - we now carry men's and youth sizes! Among the new items we carry are phone sleeves, badge reels, car coasters, beverage holders, lanyards, cell phone accessories, Apple watch bands, security wallets, Wish pearls, duffels, backpacks, lunch bags, pedicure sets and hair accessories. We also have a 'Wishing' line of key chains, bracelets, necklaces and pearls. Two new tableware collections have just arrived. One is White with food related words in black and includes plates and bowls in two sizes, mugs, mixing bowls, canisters, platter, pitcher and a Salt & Pepper set. The second collection is called 'Orbit Gray' and is plain with no images or lettering. This includes two plate sizes, a small bowl and a mug. Sentiment signs - another great gift idea for relatives, friends, teachers! Some will touch your heart, some will make you laugh out loud. Our selection is very extensive and we're sure you will find just what you're looking for. New this year - skinny signs carrying perfect sentiments! They can be used either as shelf sitters or be hung. For the 'Country' lover, just in are handmade American small pieces, including Bread Boxes. Also in are Tobacco baskets! Coming in April - a whole new line of upscale coastal decor and indoor/outdoor candles. We carry a full line of upscale coastal decor year 'round - perfect for both decorating and for gifts! We also carry some Halloween decor and Christmas ornaments and decor year 'round. Our store hours are Monday through Saturday, 10 am to 5 pm. As always, our Outlet is open on Saturdays from 10 am to 5 pm. It's full of bargains you don't want to miss! Thank you for being such loyal customers and for all the wonderful comments and great reviews we receive on Facebook, Instagram, Google and Trip Advisor! SAVE THE DATE - Our annual Christmas Open House will be Saturday, November 9th - you don't want to miss it!! Our regular store hours are Monday through Saturday from 10am to 5pm. We are closed on Sunday. December 24th (Christmas Eve), We are open 10am to 4pm. December 31st (New Year's Eve), We are open 10am to 3pm. We have winter hours January - Mid March. Please call for hours.